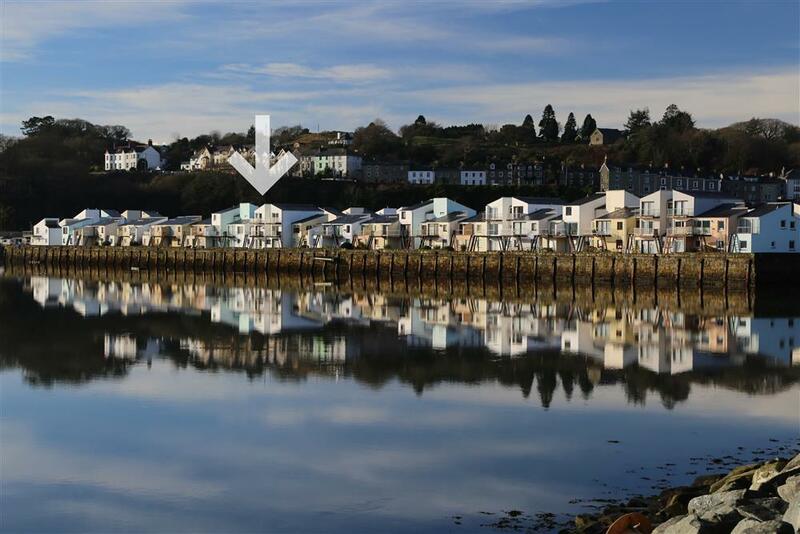 This South Snowdon Wharf ground floor property is situated on the popular seaward side of this select development in Porthmadog. It is most comfortably presented with views from the patio doors across the estuary towards Portmeirion and Harlech. The High Street is only a 5 minute walk away to a choice of shops, restaurants and scenic walks. Bird watchers and train enthusiasts enjoy this location equally as it is situated near the Ffestiniog Railway station and Welsh Highland Railway where steam trains cross the wet lands that attract so many migrant and domestic wild fowl including an Osprey family. Porthmadog is an excellent all round location with sandy beaches and mountains so close at hand. 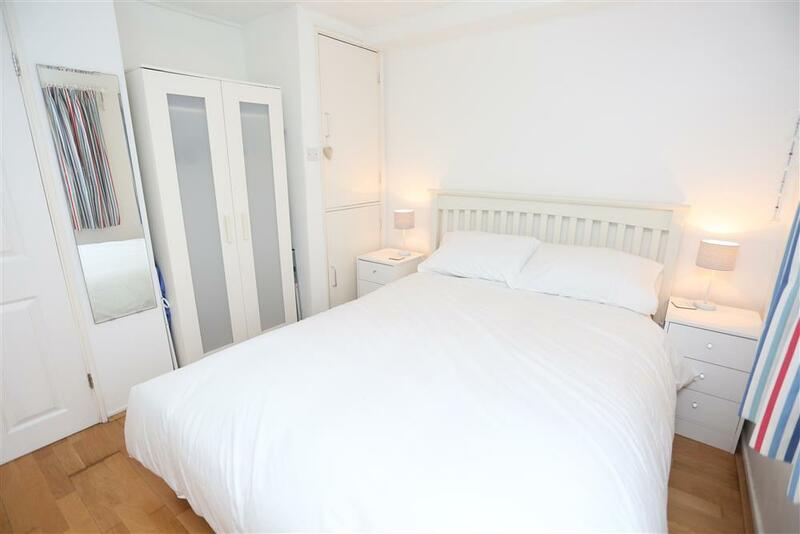 1 BEDROOM: 1 Kingsize bedroom. Not enough space for a cot. Bed linen and towels provided. SHOWER ROOM: Shower room with WC. LIVING ROOM AREA: Lounge area with Freeview TV & DVD. 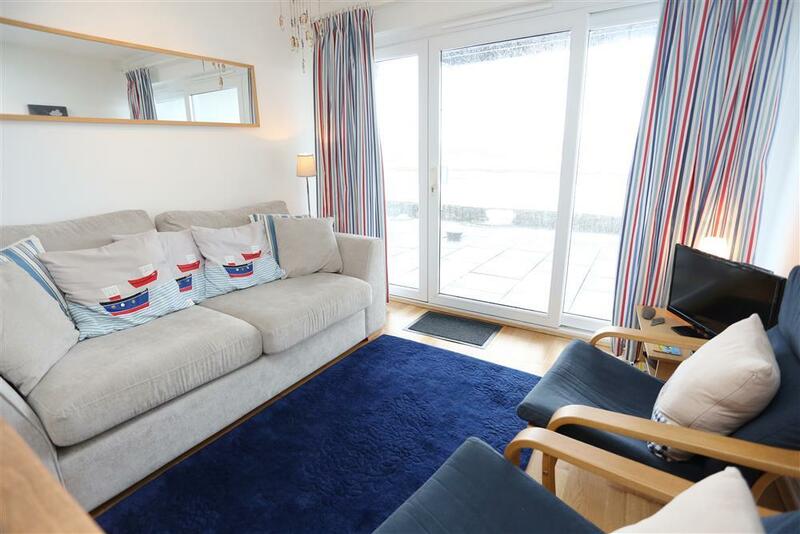 Patio doors to a sunny open patio and wonderful estuary views. Folding patio chairs available. FAQ: Not enough space for a cot. 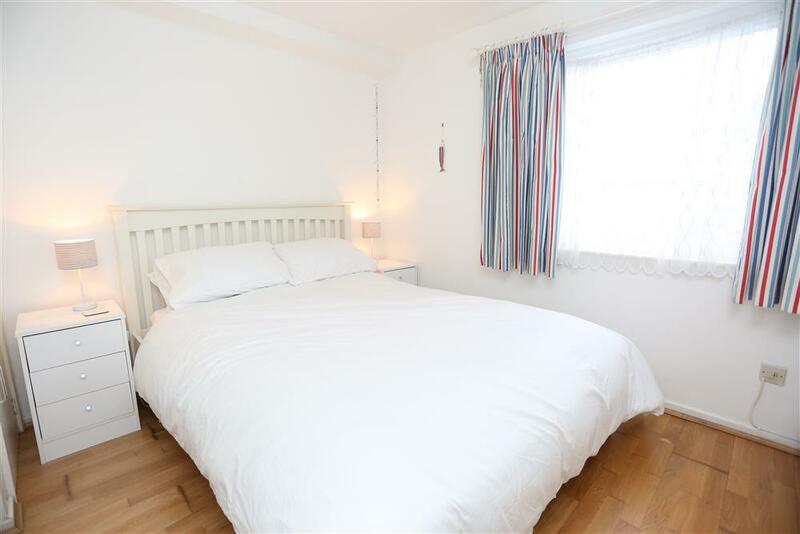 Mrs W (March, 2019): "Nicely furnished and warm." Mr & Mrs M (November, 2018): "This is our 3rd stay here this year! The apartment was clean, comfortable and cosy.... This apartment suits us very well." Mr & Mrs V (October, 2018): "We have had a great stay here. We enjoyed this peaceful and beautiful area. We especially appreciated the mountains, sea and visiting castles, we aslo liked the steam trains. The apartment is cosy and we loved the lovely view." Mr A (October, 2018): "The apartment is perfect for two people. It is warm, cosy , clean and comfortable. The views are lovely of the estuary. It is very close to town and convenient for lots of different places to visit. This is the third time we have stayed there this year, and will definitely book again." Mr & Mrs (October, 2018): "Here fo the 'Vicorian Weekend'' at the Ffestiniog Steam Railway, it was wonderful, as was our stay here.... Really liked the apartment, the views as stated by previous visitors were amazing, changing from day to day!" P & H (September, 2018): "This is a holiday apartment that we have stayed in before. As before it was very clean, bright and comfortable. The view over the estuary and towards the mountains gladdens my heart, so much so that we have booked another week in November. That makes it three times this year. Oh and it has everything that we need in the kitchen etc." Mr & Mrs C (September, 2018): "Last stayed here in July 2011!... We love looking out of the patio door and watchng the changes of the esruary and all the birds. This flat is so well equipped - and such a comfortable bed, dosen't encourage one to get up!" Mr & Mrs A (August, 2018): "We have had a wonderful week here! Very clean and comfortable apartment with everything we needed. The magnificent views were very changing, minute by minute it seemed." Ms B (August, 2018): "Apartment was very clean and most things you need are there the views lovely any time of day." Ms L (August, 2018): "Lovely view from the lounge; good location near to the town and railway. A clean and comfortable flat just wish there had been some means of drying a small amount of laundry." Miss N (August, 2018): "The flat was perfect for us - clean, tidy and we found everything we needed. We had a really great week!" 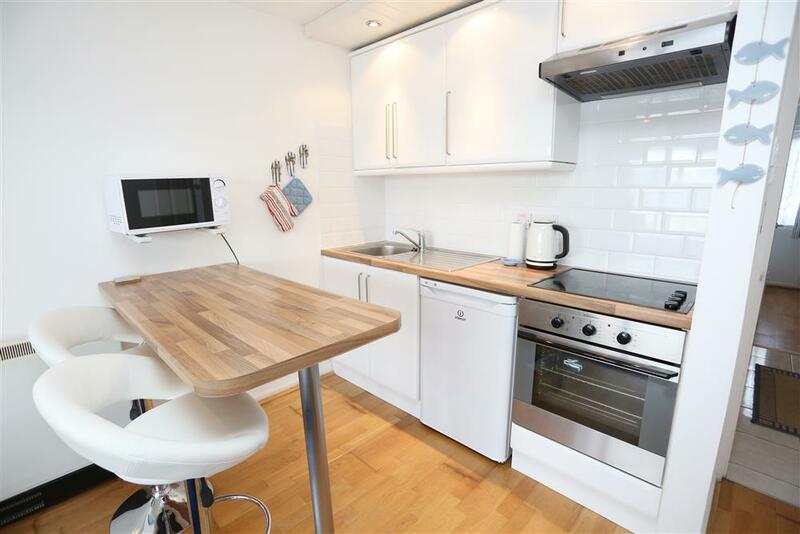 Mr T (July, 2018): "Excellent location, compact, very clean and complete with necessary equipment. Ideal for dog owners." Ms C (April, 2018): "Lovely quiet location and amazing views." 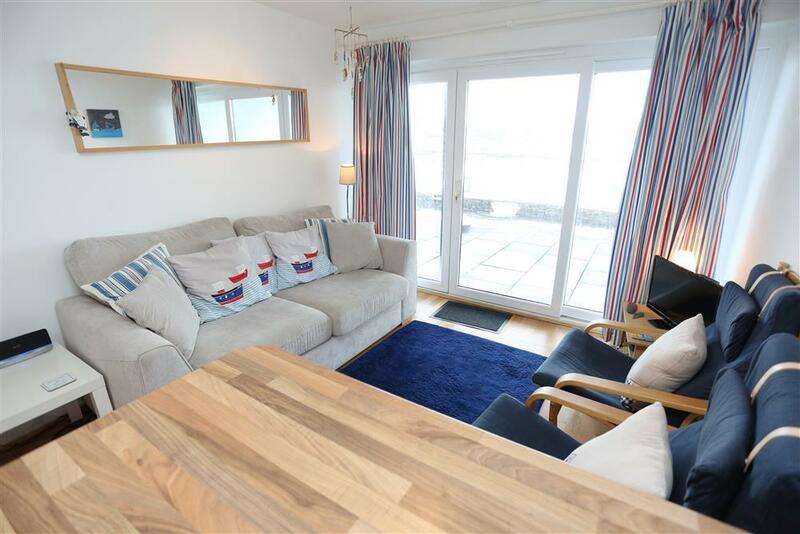 "Set on the quayside with estuary views, this compact ground floor flat has been attractively presented with a seaside ambience." 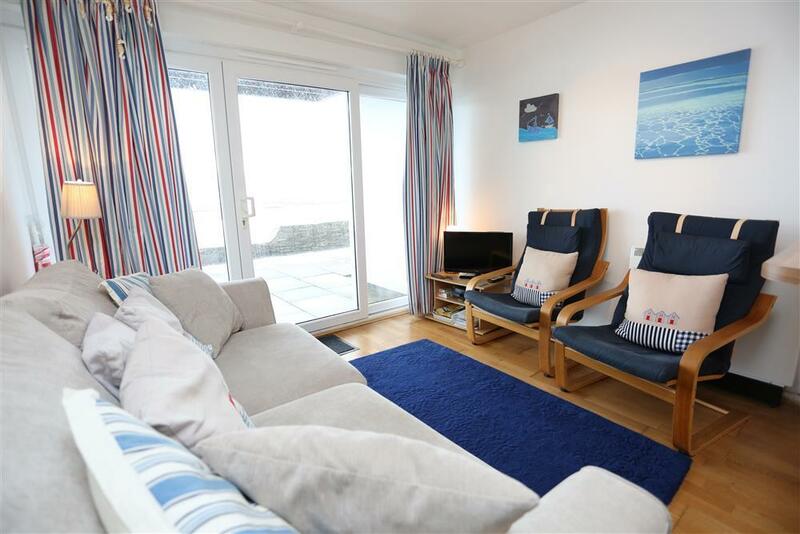 This ground floor apartment is a purpose built holiday property within a private complex. Approach is from a main road into tarmac parking spcaes throughout the estate. The designated parking is suitable for one vehicle and is in a well-lit area just a few yards from the property. Access to the apartment is up one front door step. The apartment has a standard size pvc door leading into a compact hall area. From this area there are doors to the shower room, bedroom and the open plan living area with galley kitchen. From the living area there is a sliding patio door to the patio area which is down one step. 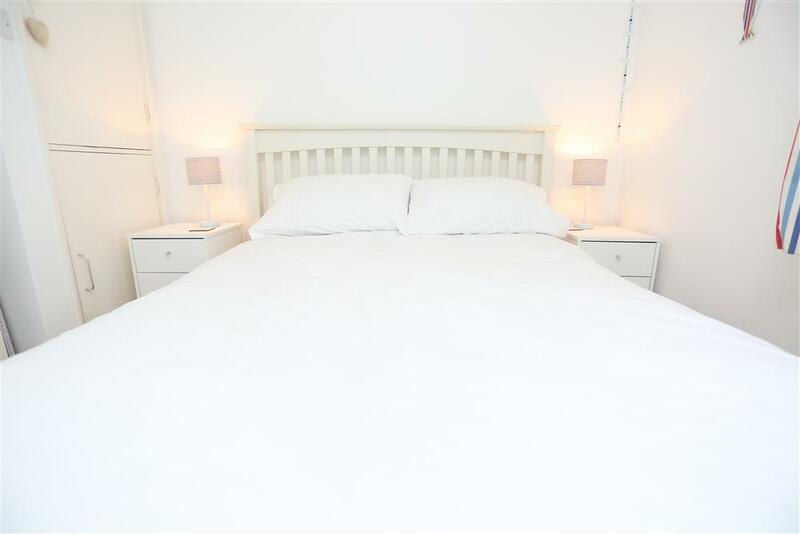 There is good lighting throughout the property with both a ceiling light and a lamp in the living area, spot lights in the kitchen area and spotlights and matching bedside lamps in the bedroom. 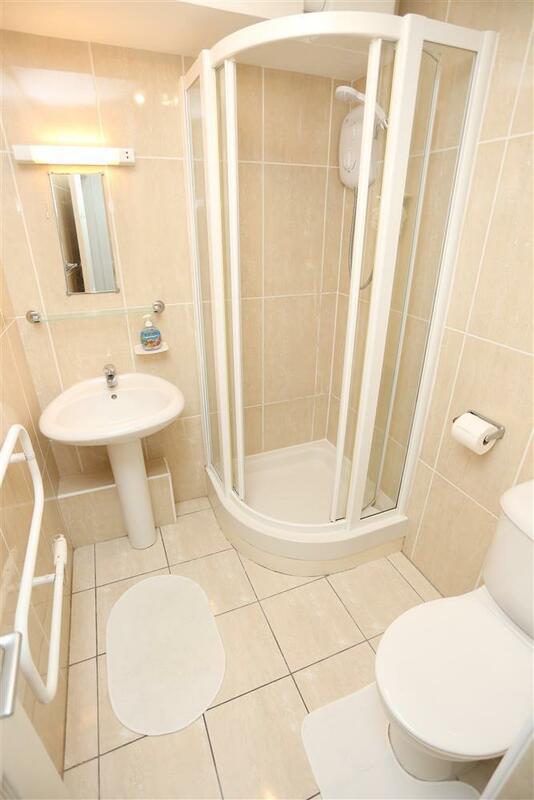 The shower room has a corner shower cubicle and electric shower, hand basin and WC. Again there is good light with a ceiling light. 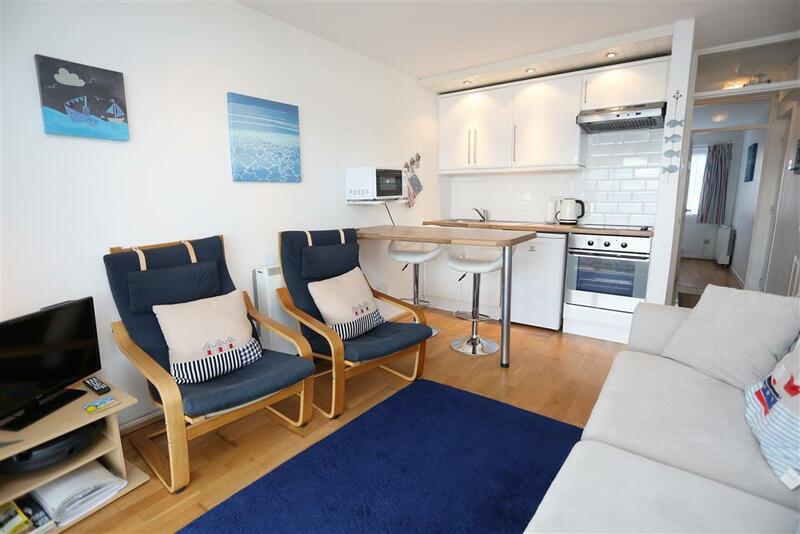 The flat is quite compact and not suitable for wheelchairs or cots.